Check the sidebar for more information! I am not the biggest fan of textured polishes, I own a couple but I got them as gifts with purchase. I’ve used them a couple of times but was not feeling particularly creative…And then I realized, textured polish is not the only way I can achieve texture! Why not go with one of my favorite techniques?? 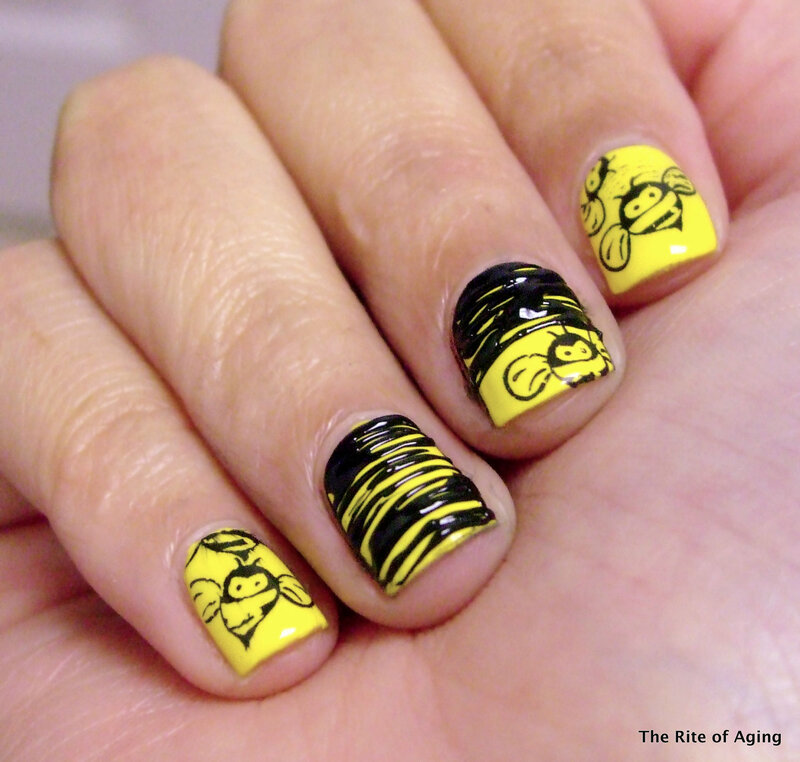 Ever since I started blogging I wanted to do a bumblebee manicure. When I got my Bundle Monster plates it was the first stamp I tried! However, due to my inexperience I never managed to transfer the design correctly to the stamper so I gave up. What better time to re-try than a textured manicure prompt for the Link-up? I started with Color Club Almost Famous! as my base. I detailed with Wet n Wild Black Creme and stamped with Konad Special Polish in Black with a Bundle Monster plate (sorry, I mixed up the plates and can’t find the one I used!). Haha, these are so bright and cute!